CyberGhost is one of the world’s most well-known and trusted VPNs. 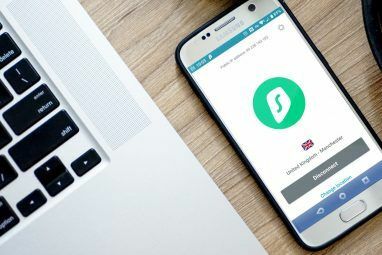 The company’s simple, secure service, which operates via client software, helps keep your browsing sessions private by routing data through VPN servers before hitting the net. You can also use the service to circumvent browsing restrictions implemented by your local network administrator. OS X users haven’t been able to use CyberGhost until recently, but now the new Mac client provides the same features Windows users enjoy. Let’s take a closer look. Downloading and installing CyberGhost for Mac is as easy as you’d expect. Just visit the company’s website and hit the “Free download” button. Your operating system will be detected automatically. Once the small download finishes, you can install it by dragging it into your Applications folder. The first-time startup is similarly simple. Once the program has loaded you can begin private browsing by pressing the big, fat power button in the middle of the interface. By default, the software automatically finds a free server and I.P. address to allocate to you. The map provided by the interface will show where you’re currently located and then, once you are connected, the location of the VPN server you’re now using. The automation of finding and connecting to a server is a feature many users will appreciate, as it makes CyberGhost a literal one-click tool CyberGhost VPN Review: Why This Top VPN Is Worth Your Time CyberGhost VPN Review: Why This Top VPN Is Worth Your Time Looking for a comprehensive VPN? 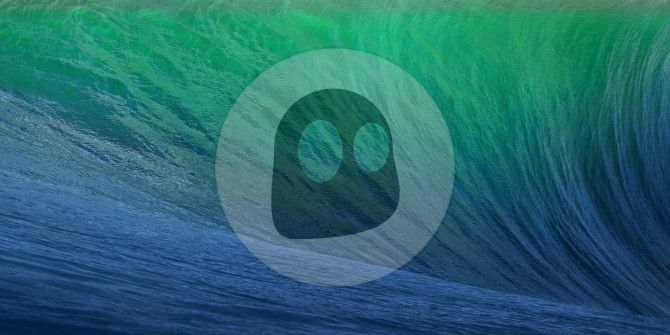 CyberGhost VPN offers all kinds of benefits: anonymous surfing, unblocked streaming, and more. Read More . There’s no need to understand what’s happening in the background; as long as you can click the big, fat power button, you can use the service. Of course, you may want to select the VPN server and I.P. address you use and that’s possible as well. You can do this using the drop-down menus at the bottom of the main window. While automatic allocation is fine, selecting a specific VPN server may allow you to circumvent local, regional or national Internet restrictions that would otherwise limit your browsing. All versions of CyberGhost protect traffic using AES 256-bit encryption with unlimited bandwidth. This does not mean your transfer speeds will be unlimited, of course; there’s just no restriction on the volume of data you can consume. Naturally, the free version does have some restrictions. Your server selection will be limited 39 different servers in 15 countries, while paying users gain access to 288 servers in 24 countries. Free users also have to reconnect every three hours and don’t have access to optional protocols like PTPP. CyberGhost has a premium VPN plan ($12.99/mo) that comes with a discount if you buy one year upfront ($5.99/mo), and further discounts if you buy two years ($3.69/mo) or three years upfront ($2.75/mo). With all plans you have a 30-day money-back guarantee. With CyberGhost, you can protect up to five concurrent devices with one VPN plan. CyberGhost’s network provides unlimited access through 3,500+ servers across 60+ countries worldwide on every continent except Antarctica. While a VPN can be great for protecting your privacy it’s pointless if the performance is not up to snuff. This is a problem of concern to VPN users because routing through the private network also limits you to its capabilities. We started by downloading a game from Steam. The Internet connection I used with CyberGhost can normally download a game at 1.5 megabytes per second if the download is the sole network load. With CyberGhost activated, however, my speed fluctuated between 300 and 800 kilobytes per second. 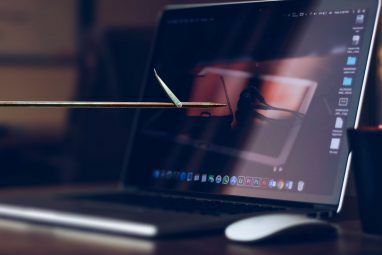 That’s a significant change, but it’s still quick enough to download a large file 5 Ways to Increase Your Torrent Download Speed 5 Ways to Increase Your Torrent Download Speed For many people, the distributed peer-to-peer download power of torrents isn’t all it’s made out to be. If you’re feeling drowned in fake files, choking from ISP speed throttling, and sick of being told you’re... Read More (like a game) within a few hours. Next, I fired up YouTube to see if streaming experienced any degradation in performance. What I found was that streaming 1080p without buffering was no longer guaranteed, but 720p was fine. I watched ten clips at 1080p, each at least two minutes long, and had buffering in three of them. All three which buffered did so multiple times. Finally, I spent some time browsing the web as I normally would with CyberGhost enabled. In this scenario, I couldn’t tell a difference between browsing with it on or with it off. Pages loaded within seconds even when they featured large numbers of images. This positive result didn’t surprise me, however, in light of the strong download test results. Websites just don’t require much bandwidth relative to other web content. What’s more important is ping time, as this indicates how quickly the servers respond to an access request. A quick trip to Speedtest.net revealed ping times of around 170 milliseconds, which is more than adequate for browsing. The new Mac client is what you’d expect from CyberGhost. It uses the same network of servers as the Windows client which, in our testing, results in solid performance. The interface is also similar, but installation occurs in a fashion that will make sense to OS X owners. On the whole, CyberGhost is a great way to browse privately. Even the free service is quick and intuitive. Explore more about: Online Security, VPN.